I wasn’t introduced to the delights of halloumi until I was about 20 years old and couldn’t believe just what a magical treat was in store for me. Arguably among the more addictive members of the dairy family, fried slice of scrummy, squeaky cheese transformed my weekend lunchtimes like no other butty filling before or since. So imagine my joy when I realised a pop-up halloumi brunch is making its way to the UK, complete with bottomless bubbly glasses of prosecco. 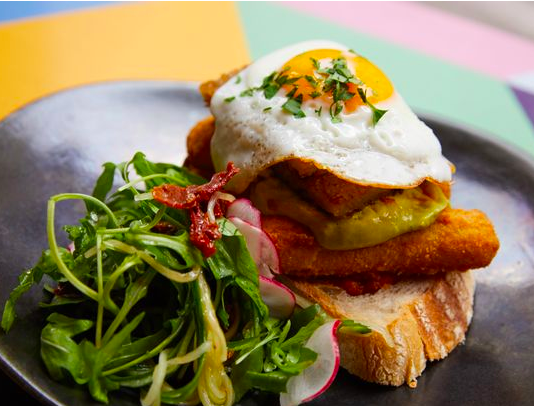 Soho’s Las Banderas will be rustling up brunch for London based halloumi fans from October 20 – November 18, bringing a much needed dose of Cypriot sunshine while the great British weather gets more and more gloomy. Available all week long between the hours of 11am and 4pm, the menu itself has designed by chefs Francis Puyat and Andrew Zilouf – of 100 Hoxton – with one plate and helping of bottomless drinks costing £32 per person for a 90-minute session. The Cyprus Tourism Organisation launched the brunch, hoping to showcase their beloved cheese in a bid to promote tourism. 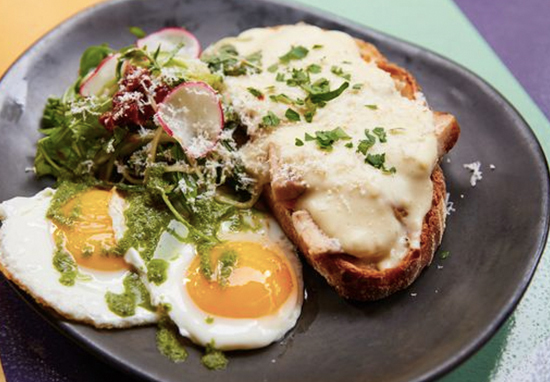 As lovers of innovative food, we were thrilled to partner with the CTO for a second year running for this project and have worked really hard to create a menu that we hope is both inspiring and delicious, the perfect start to the day! Now, this won’t just be the sort of charred, blackened halloumi you scrape out of your wok at home. The exceedingly chefy menu is innovative and imaginative, showing just how versatile this cheese truly is. There are some lovely and comforting sounding savoury choices including a Croque Cypressa with pork belly, tyropita halloumi toast soldiers with halloumi fondue, a Halloumi Finger Sandwich and a ‘Halloumopitta’ filled with with scrambled eggs, smoked salmon taramasalata on sourdough. And there are also some pretty out there options which would be difficult to find or recreate elsewhere. 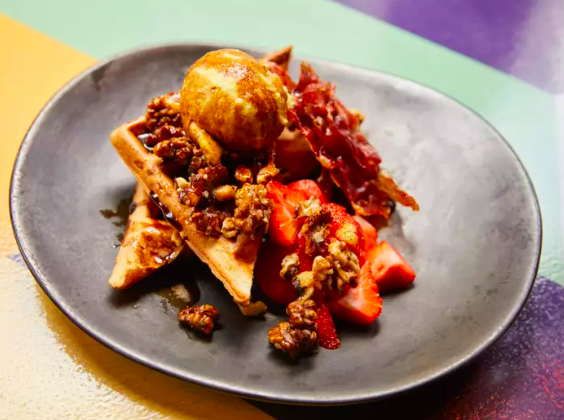 Think halloumi waffles with crisp bacon, fried eggs, carob syrup, candied walnut; or halloumi flavoured ice cream with strawberries (honestly can’t imagine this one, but colour me intrigued). Personally, I am most interested in sampling the halloumi aubergine pancake dish with spicy halloumi popcorn and carob syrup. Cheesy popcorn is delish and criminally underrated and this will certainly bring things to the next level. No posh brunch would be complete without a spot of fizz. And therefore guests can sip away their lazy mornings with bottomless helpings of fig and Campari spritz or harissa Bloody Mary. Cheers to that! To book yourself a place, email [email protected] for more details.